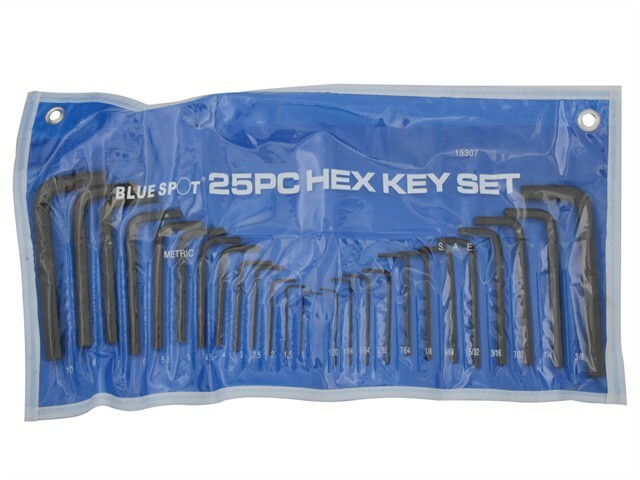 25-piece metric and imperial hex key wrench set. Short series metric sizes: 1.0, 1.5, 2, 2.5, 3, 4, 4.5, 5, 5.5, 6, 7, 8, 10mm. Long series AF sizes: 3/64, 1/16, 5/64, 3/32, 7/64, 1/8, 9/64, 5/32, 3/16, 7/32, 1/4, 3/8in.